Google Maps is an essential app used for navigation and travel. It’s revolutionised people’s daily lives, that is if you don’t have a disability. If you do it’s a very different story. Despite providing different options for all modes of personal and public transport, there are no alternative routes that support those who are disabled or in need of assistance, the main example of this being a lack of wheelchair friendly options. 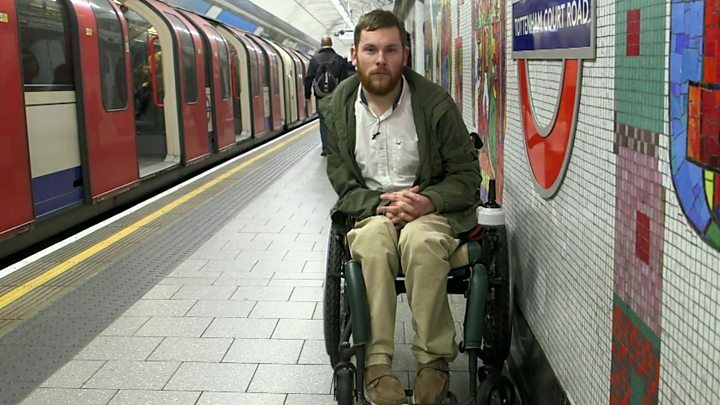 Wheelchair users travelling in London and other worldwide cities on public transport can now get accessibility information from Google Maps. Users will be able to filter for "wheelchair accessible" advice when planning journeys in the capital. However disability groups warned the information needs to be up-to-date and accurate in order to be helpful. The service is initially available on desktop and will be rolling out across iPhone and Android devices. It has also been launched in New York, Tokyo, Mexico City, Boston, and Sydney with plans to roll it out across other locations. The London information covers the underground, bus, DLR and tram networks and will be added for the overground at a later date. The new feature was announced by Google Maps product manager, Rio Akasaka in a blog post. He said: "Information about which stations and routes are wheelchair friendly isn't always readily available or easy to find. "To make public transit work for everyone, today we're introducing 'wheelchair accessible' routes in transit navigation to make getting around easier for those with mobility needs." Google said that before launching the feature it had tested it with various wheelchair users and accessibility groups.The route information is also supplemented by the knowledge of an area of local people, who can add accessibility information to Google Maps directly. After I read some articles on March 16, 2018 in my opinion with the new feature on google maps for disabled is very useful. If people with disabilities are traveling by public transport and there is information on which route the wheelchair user can access. The success of this application is supported by the information that is accurate and up to date. Google maps can fix the flaws in this new feature on Google Maps by updating any information for wheelchair users. It is expected that this new feature will make it easier for wheelchair users to use public transportation such as buses, taxis, and trains. Ø The subject I – Even though I is a single person, it usually takes the plural form of the verb: I look. I do. Ø Doesn’t / don’t, Wasn’t / weren’t – These verb constructions can confuse writers. Doesn’t (does not) and wasn’t (was not) are singular. Don’t (do not) and weren’t (were not) are plural. ( I takes the plural form, don’t). Ø Words or phrases that follow a subject – A common error in making subject-verb agreement is confusing a phrase (words or phrase that follow a subject) with the subject of the sentence. Subject and verbs are underlined in the following examples. § One of the boys is missing. § The paintings by Pedro Reiss are bold and commanding. Ø Singular nouns that end in s – Some words like measles, mumps, news, checkers or marbles (games), physics, economics, sports, and politics are singular despite their plural form, because we think of them as a single thing. § The news begins at 6 p.m.
§ Aerobics is a great way to get in shape and reduce stress. Ø Pronoun subjects – Pronouns are misused often in speech and writing. Some pronouns are always singular, whereas others are always plural. A few can be either singular or plural. Each, either, neither, anybody, anyone, everybody, everyone, no one, nobody, one, somebody, someone are singular pronouns that agree with singular verbs. § Everyone wants to win the lottery. § Each of the managers wants her own phone line. Ø Both, few, many, and several are plural pronouns and agree with plural verbs. Example: Both of her ex-boyfriends are attending the wedding. Ø If two nouns or pronouns are joined by and, they need a plural verb. Oscar and Lorraine drive to work on most days. Ø If two singular nouns or pronouns are joined by or or nor, they need a singular verb. On most days, Oscar or Lorraine drives to work. Ø If one plural and one singular subject are joined by or or nor, the verb agrees with the closest subject. § Neither the teacher nor the students like the textbook. § Either the students or the teacher likes the textbook. Ø If a sentence asks a question or begins with the words there or here, the subject follows the verb. The verb must agree with the subject. The subjects are underlined in the following examples. § Here is the evidence to prove it. § What are his reasons? Google Maps is an essential app used for navigation and travel. If people with disabilities are traveling by public transport. The success of this application is supported by the information that is accurate and up to date. Google maps can fix the flaws in this new feature on Google Maps by updating any information for wheelchair users. Today we're introducing 'wheelchair accessible' routes in transit navigation to make getting around easier for those with mobility needs. Based on the above background, it can be concluded that the new feature on Google maps for wheelchair users are a good idea. 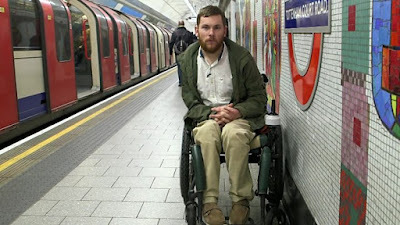 With new feature on google maps it helps wheelchair users to travel in London by public transportation. The new feature makes it easy for wheelchair users to know which station or route a wheelchair user can access. The new feature will also launch in New York, Tokyo, Mexico City, Boston, and Sydney. The analysis use subject - verb agreement theory. Subject - verb agreement often presents difficulty because there are some subjects that take singular verbs and others that take plural verbs.The verb depend on subject and subject pronoun.